Yeah so the following remix is one of the more often searched for posts I’ve written. 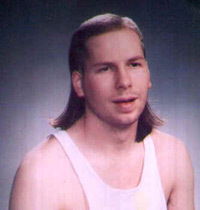 The phrase “mullet of the shirt world” is apparently googled more than I ever thought. I hope there isn’t some weird fetish I don’t want to know about. Also, when did “google” become a verb synonymous with “search?” The speed at which our vocabulary is changing disturbs me a little. The great thing about being Youth Pastor is you get away with so much. Basically if you bring back all the same kids you left with and all their same appendages people are pretty happy with you. You can generally dress the way you feel comfortable and it’s all good. Of course there are dangerous mine fields to navigate, but as long as you understand a few basic rules you will be fine. You will likely wear more tees than anything else. The great part is that graphic tees are super popular as well as 80s references. Now some of you are too old or too young to appreciate Thundercats and the real Transformers, but for the rest of you enjoy this while it lasts. Friends don’t let friends wear muscle shirts, enough said. Hey these are great if you are into them. I’m not thanks but good for you. I actually own several long sleeve button ups. I really hate short sleeve versions, they look strange to me, like it was trying to be professional but couldn’t quite make it. The short sleeve button up is the mullet of the shirt world. Business in the front party on the sleeves. So back to long sleeve button ups. I really love the fact that rolled up sleeves is the new style. It is nice, but don’t make the mistake of rolling your cuffs super tight. For my height 3 rolls is perfect. It leaves the cuffs plenty wide and also past my elbows. I will wear these shirts with jeans most of the time I wear them but if I need to look particularly dressed up I put on one of my slacks, and possibly even my jacket. There are also a lot of options with embellishments, embroidery, and screen printing. I own a few but my rule is pretty simple. Less is more. They have shirts now with gold covering half the back and really intricate designs. The front is only half as bad but still, as a youth pastor you probably have ADOS (Attention deficit … oh shiny) and you don’t need to get distracted by your shirt. Less is more. Speaking of jackets you really need to buy at least one. You can find some pretty cool stuff with all kinds of embellished stuff on it, and that is awesome but you need at least one jacket that is fit for a wedding or funeral. Trust me you don’t want to be that guy wearing the rhinestone encrusted blazer at the funeral of a 104 year old saint survived by her 86 year old daughter 64 year old grand daughter 47 year old grandson 25 year old great grandson and 10 month old great great grand daughter (and all the other relatives) all of which attend the church. Not cool dude not cool at all. Remember these simple rules and you will be well on your way to the cool bus. I have had people argue with my statement that the short sleeve dress shirt is the mullet of the shirt world. Good plan, killing two birds with one stone. Heat your house and destroy the evil shirts. If oyu cook dinner with the heat of the fire then you get double bonus points. Glad I could help and thank you. I say I wear a tee and jeans 90% of the time but I do teh rolled up shirt sleeve over a tee the rest of the time unless I need to look dressed up. There was a day when those short sleeved shirts were "what to wear" for men in the warmer months. I never liked them. So glad when they went out of style and we could send them to Bob. And Dwight. I don't understand why they're offensive – certainly a practical choice given shirtwearing doesn't stop in the summer months. I just don't get it. I think ID is doing something with my comments. I know I commented on this. Anyways, I've just never been comfortable in them, I think it was because of living in Guam and all the men wearing them to church while wearing khaki shorts. Shudder. I wouldn't say offensive, and worn properly they can certainly look nice, but most people don't wear well fitted ones or worse wear them with khaki shorts … no … just no.